Helping you plan for tomorrow, today. Offer available to both new and existing RBCU VISA Credit Card holders. 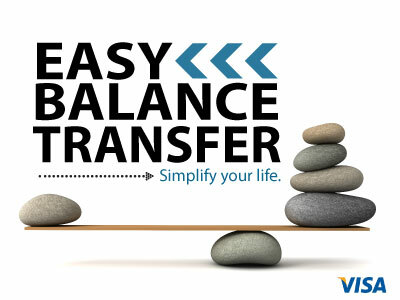 Take advantage of our low balance transfer rate of 5.9% APR* and see how much you can save! Transfer your high interest credit card balance to an RBCU VISA Rewards Credit Card. Your transferred balance remains at 5.9% APR* until your balance is paid off. To get started, call 612.798.7100 to speak with a Member Service Representative. $500 minimum balance transfer required. No other RBCU loan can be paid off with balance transfer promotion. Offer ends 4/28/19. Credit qualifications apply. Subject to Change. 1.99% introductory APR for 6 months on all purchases and balance transfers (new cardholder’s only). After the 6-month introductory period, the following standard rates will apply: Purchases 9.9% APR (Platinum) 12.99% APR (Classic). Balance Transfers performed during the promotional period February 1, 2019 - April 28, 2019 will remain at 5.9% APR* for the life of the balance. Application of Payments: Generally, we will apply your minimum payment first to lower APR balances before balances with higher APRs. Payments made in excess of the minimum payment will generally be applied to balances with higher APRs first before balances with lower ones. *APR = Annual Percentage Rate. If you are using a screen reader or other auxiliary aid and are having problems using this website, please call 1-800-967-7228 for assistance.